The Hours - My Memoir: Back To India! On the 8th of March, the alarm on my cellphone rang and I woke up to see the clock show 3 AM. I wondered what was wrong? I had set up the alarm to 4 AM so as to get ready for my 6:30 AM flight. I checked the other clock on the microwave and it showed 3AM as well. But my cellphone would show 4 AM. I switched on the television and it showed 4 AM. I was confused for a while. In my not completely awake state, I even thought of the ghost film I had watched the previous day. It took me a while that we are off the day light saving time. And the time was now 4 AM. I got ready and Rohit dropped me at the airport. My flight to Atlanta was on time. At Atlanta, I did some shopping in a Brookstone store which had some cool innovative electronic gadgets. I spoke to Jonah and KK. With both, I enjoy long conversations. KK and I discussed about our favourite author Bhyrappa and our thoughts on the movie Interstellar. After a long lay over time, I finally boarded my flight to Paris in the evening. A long uneventful flight ended at Paris airport. It was 8:30 AM on the 9th of March in Paris. 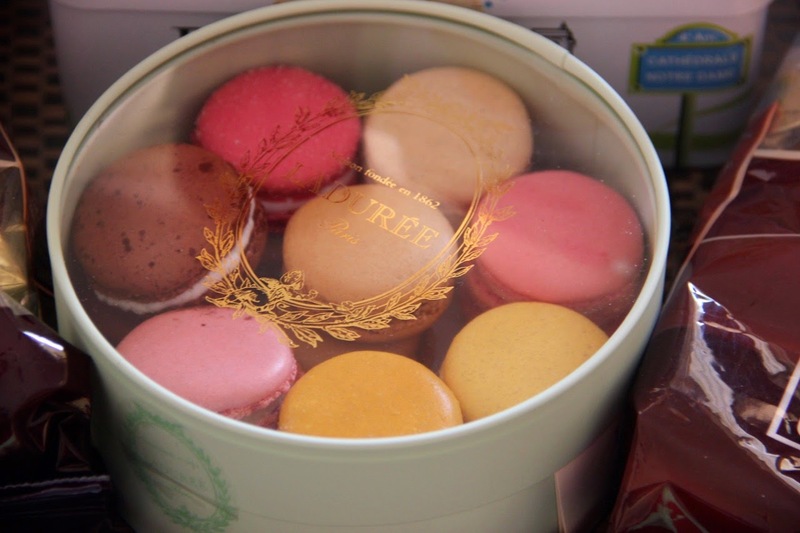 I stopped by a shop that sold macrons and bought a pack of them. Some other attractive cookies and chocolates made its way into my bag. At the gate it was announced that my flight was delayed due to some technical reasons. That was when, I got into a conversation with my co-passenger; an old lady who was returning from Houston. She has a daughter living there and her Son lives in UK. We had a good chat about life in the US, UK and India. Like all Bangaloreans we spoke about poor road conditions and traffic in the city. Meanwhile a few other passengers joined in. One was a man in his early 40’s. He was from Mangalore. Another boy from Udupi and another was a North Indian. It was a good discussion we had as we waited for all the technical problems to be solved. After an hours delay, our flight finally took off. I was home by 4 AM on March 10th. Like my usual practice, I quickly unpacked and realised that I have returned with loads and loads of gifts. 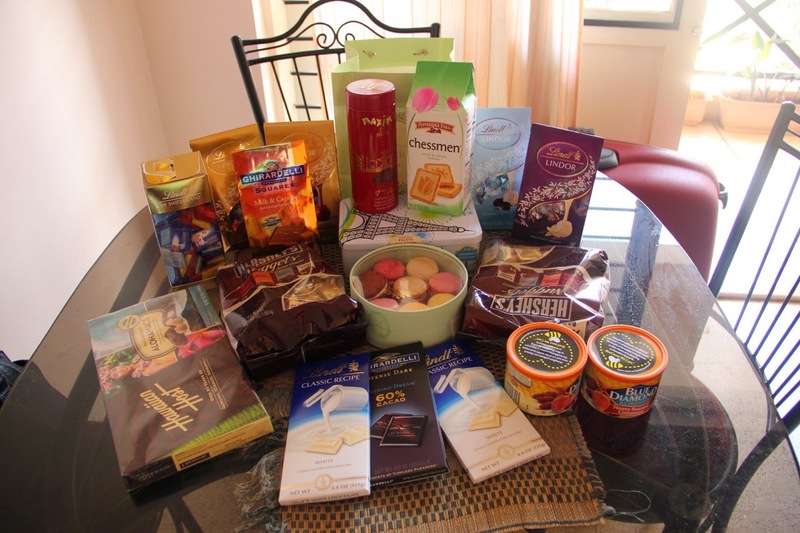 But the most impressive collection I had was that of the food items that I had bought in the US and in Paris. A very good trip had come to an end. Even though I was lost in those moments, I was also excited about the future. I had so many plans and initiatives in mind that were at halt due to this trip. I would slowly start those and these chocolates, cookies and macrons will keep the memories of the trip alive for some more time.